No two retirees are alike. Therefore most of the retirement rules of thumb bandied about in the media are actually inadequate for most retirement plans, according to Aaron Katsman, founder and president of boutique investment firm Lighthouse Capital Ltd. and a contributor to The RetireMentors, a collection of retirement experts publishing information on the Wall Street Journal’s MarketWatch. 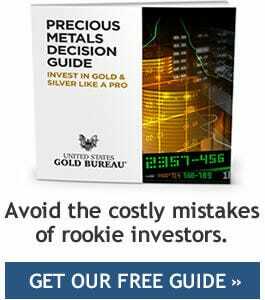 Is gold’s bubble phase about to begin? Ready to roll over an IRA or 401K?